It’s time to get ready for the fourth annual Moonshine 7s! Come and enjoy a full day (and night) of rugby! Our concessions stand will be running all day. Parking is free and friendly, leashed dogs are welcome. Teams are welcome to pitch a tent and spend the night. Bottomless beer mugs will be available again this year. Follow the event on FB to keep up with the latest updates and contact us with any questions. **To get the early registration discount you must register AND PAY online by May 31st. Please contact Lisa Jackson with any questions or for information about sponsorships. REGISTRATION WILL CLOSE WHEN THE MAXIMUM NUMBER OF TEAMS IS REACHED. 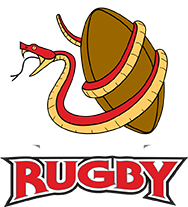 RRFC offers a half-price registration fee for any additional side entry from the same team.